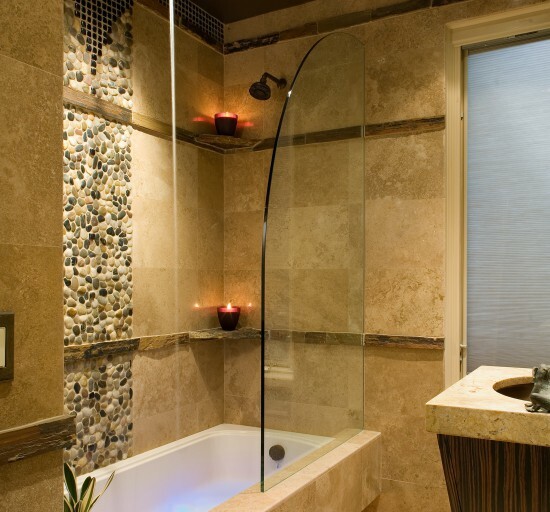 This seductive spa’s award-winning bath design expertly employs area-expanding features like mirror, glass, and floating wall-mounted fixtures. 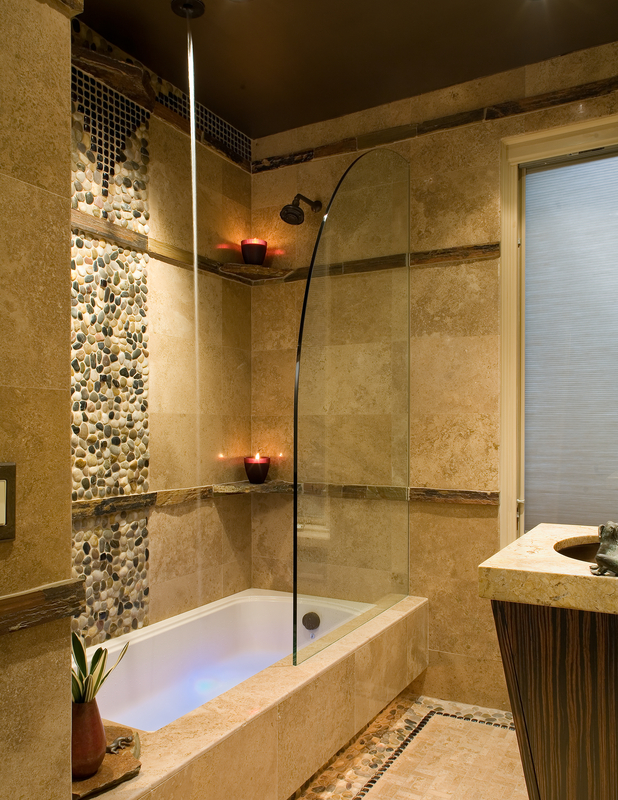 The floor’s basketweave mosaic travertine is trimmed with glass tile, then bordered by a field of pebbles to suggest a rug cast on a rocky shore. 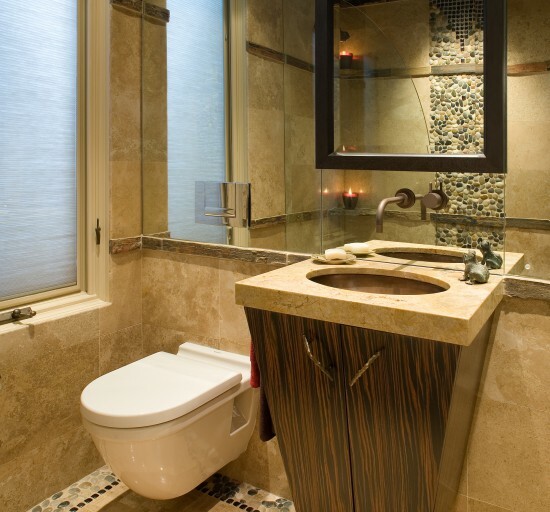 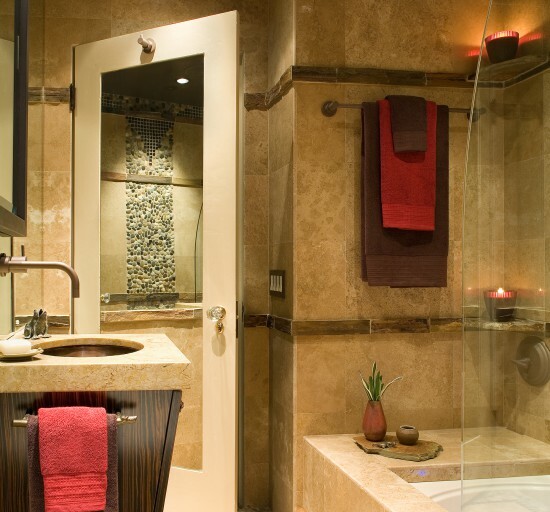 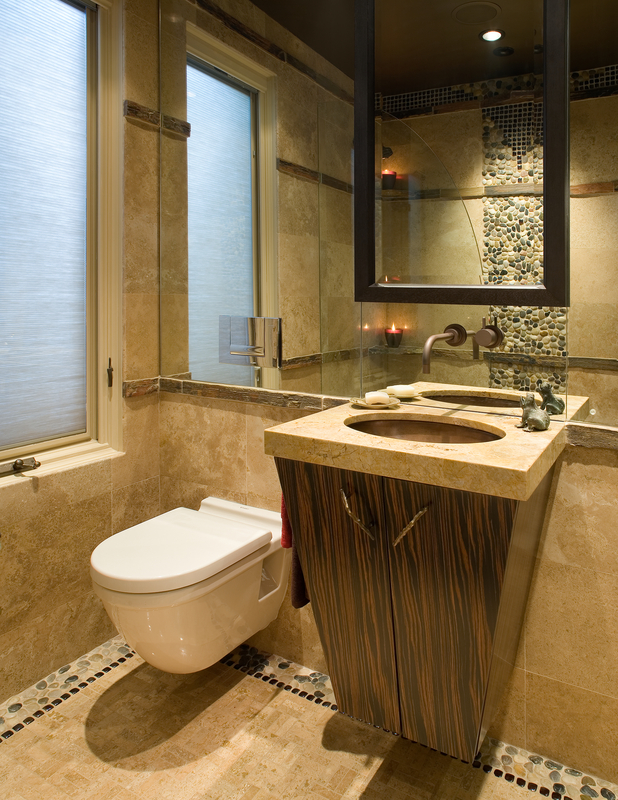 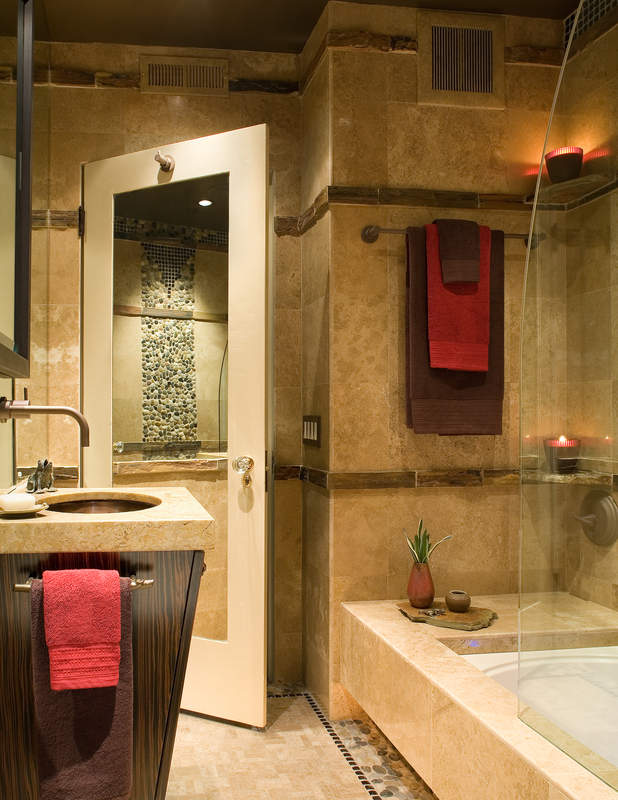 "Interior designer James P. Walters used cascading water, polished pebbles accented with bronze glass bubbles, and a field of polished travertine blocks to turn this bathroom into a beautiful grotto-like space."